The Department of Defense Ordnance Technology Consortium (DOTC) has awarded Lockheed Martin a contract for the technology maturation of Lower Tier Air & Missile Defense Sensor (LTAMDS) prototypes. DOTC, commissioned by the Under Secretary of Defense for Acquisition, Technology and Logistics, is a DoD initiative intended to facilitate collaboration between the government, industry and academia for technology development and prototyping. The funding from DOTC is used for technology development efforts that will further define performance requirements, mature technology and reduce risk for the LTAMDS (Lower Tier Air & Missile Defense Sensor) program. Lockheed Martin is using its AESA Radar for Engagement and Surveillance (ARES) prototype investment program to mature technology and capabilities necessary for the future LTAMDS (Lower Tier Air & Missile Defense Sensor) mission. Combined DOTC funding and Lockheed Martin's investment will continue to mature technology for the prototype, including AESA and dual-band technology. The prototype will include mature Gallium Nitride (GaN) transmitter technology and advanced signal processing techniques including Lockheed Martin's proven 360-degree rotational capability. 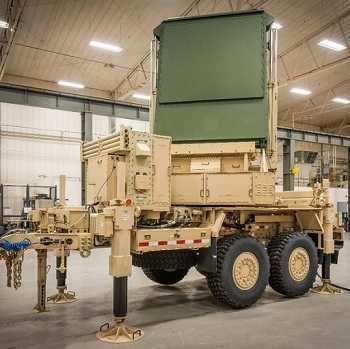 According to Lockheed Martin - Technology is maturing at such a pace that continuing to incrementally upgrade the heritage Patriot MPQ-65 radar system is no longer the most efficient and cost effective option. 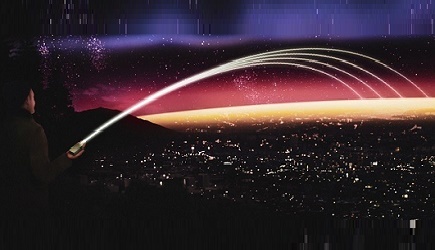 A next generation LTAMDS radar will leverage recent advances in radar technology to provide a cost effective, scalable, long term solution that can address current threats and adapt to emerging and future threats. Lockheed Martin has developed and produced ground based radar systems for more than 40 years, and their latest open-architecture prototype leverages building blocks from several other successful radar products, including the Q-53, Long Range Discrimination Radar and Space Fence. Lockheed Martin's low-risk solution is based on decades of development, backed by demonstrable technology and will be the first sensor specifically designed to operate within the Army Integrated Air & Missile Defense (IAMD) framework.